Within that very strict definition, I remain unmoved. The argument that mankind is the cause of the present change in the climate of Planet Earth is not certain! However, if only life was that simple! The change in our planet’s atmosphere is possibly the most emotionally-laden topic of all time. For some reason that quotation attributed to Hiram Johnson comes to mind, “The first casualty when war comes is truth.” because the supporters and deniers of AGW are engaged in what amounts to a verbal war. Each side can draw on much information. I’m not sure what is meant by “believer”, Paul. The Universe unfolds as it should. Because many have been led to “believe” that AGW is inevitable and that all the facts are the ‘Truth”, we’ve created a religious substitute, almost a new “industry” with significant “tithing” obligations, etc. (e.g. Cap and Trade). Presumptions and facts are being manipulated to fulfill the prophecy. Interesting to note in our daily lives, that weather prediction is very good 24-36 hrs out. This drops precipitously just a few days out. More than 7-10 days is nearly impossible. Even though both Europe and the USA have decreased CO2 levels by multiple percentage points over the last 20 years, the rest of the world does not care and the impact is very problematic. Recently, CO2 gas has increased overall but heat has not. In the past, warming has occurred followed by CO2 levels increasing. Global politics and redistribution of wealth schemes continue to interfere with common sense. Let’s just deal with the facts as Science reveals its secrets. New information is discovered every day about the interaction of the Earth/Sun/Atmosphere/Lithosphere/Hydrosphere. New information is learned every day about the Universe. These are not closed subjects. Climatology, meteorology, geology and solar system dynamics will continue to shape the Earth’s future for millennia to come whether Man is involved or not. However, if we broaden the perspective from that tight definition of certainty to an analysis of probabilities, then it all changes for me and I can embrace the views so strongly put forward by Martin Lack. Some aspects of the science of AGW are known with near 100% certainty. The greenhouse effect itself is as established a phenomenon as any: it was discovered in the 1820s and the basic physics was essentially understood by the 1950s. There is no reasonable doubt that the global climate is warming. And there is also a clear trail of evidence leading to the conclusion that it’s caused by our greenhouse gas emissions. Some aspects are less certain; for example, the net effect of aerosol pollution is known to be negative, but the exact value needs to be better constrained. What about the remaining uncertainties? Shouldn’t we wait for 100% certainty before taking action? Outside of logic and mathematics, we do not live in a world of certainties. Science comes to tentative conclusions based on the balance of evidence. The more independent lines of evidence are found to support a scientific theory, the closer it is likely to be to the truth. Just because some details are still not well understood should not cast into doubt our understanding of the big picture: humans are causing global warming. In most aspects of our lives, we think it rational to make decisions based on incomplete information. We will take out insurance when there is even a slight probability that we will need it. Why should our planet’s climate be any different? That, ultimately, delivers for me what truly counts. I am not a scientist; just a Brit living in Southern Oregon trying to make sense of the world while I still have a functioning head and body – time is not on my side! 😉 The powerful common-sense in the sentence, “Outside of logic and mathematics, we do not live in a world of certainties.” is beyond argument. In the year 2012, the total number of passengers carried by US Airlines and other carriers in and out of the USA was a staggering 815 million people. 815,000,000 people! Remember the sub-heading from the start of this post! “If there’s any doubt, there’s no doubt!” Years ago I heard that from Bob Derham, a long-time friend and a commercial airline Captain since the time God was a boy! It’s that cautious, safety-focused attitude that has made airline transport such an amazing mode of transport for all those millions of passengers. Should we not travel with the same cautious, safety-focused attitude on the ‘vehicle’ that carries every man, woman and child; every animal, plant and living thing: Planet Earth! The answer is obvious – more than obvious! Exploring the certainty of AGW! You may wonder what this post is all about opening, as it does, with a definition of ‘certainty’. What that definition might imply is that ‘certainty’ is a tantalising ‘will of the wisp’ creature. Excepting for pure mathematics, of course! “Pure mathematics is, in its way, the poetry of logical ideas.” – Einstein quotation. Whatever your views on the effect of man’s behaviours on our planet’s climate, it’s a long way from the logical idea of ‘2 + 2‘! So when Oakwood, a reader of Learning from Dogs, submitted a long, carefully written comment rejecting Anthropogenic Global Warming (AGW), the idea came to me that perhaps this comment should stand on its own two feet, so to speak, as a separate post. I asked Martin Lack, a passionate believer in AGW, to counter the points set out by Oakwood. Both Martin and Oakwood are scientists; both hydrogeologists. Now please take a moment to read and assimilate the next few sentences. The length of the ‘dialogue’ runs to two posts. Making it without question the longest post that has ever been published on Learning from Dogs. It is also the most important! If there is one question above all others for these times, it is the question of whether or not mankind is changing the climate of this planet; the only one we have. These posts are not an easy read. They can’t be skim read. They don’t have pictures! But I hope with all my heart that you will settle down today and tomorrow and read each post carefully to the end. Hydrogeology (my field) and climate science have quite a lot in common, the main one being they require some knowledge and expertise in a wide range of disciplines. It’s not a simple case of saying ‘you are an expert or not’. For example, I need to know quite a bit about chemistry, although I am not an ‘expert chemist’. I am experienced in studying long-time period data, and judging its credibility (this also in common with climate science). Many of the key AGW arguments are based on data and statistics. There are many reasons for being an AGW-sceptic, needing many pages. I give one main example: The ‘divergence problem’ applies to tree ring proxy temperature graphs. Most (perhaps all), proxy graphs cannot reproduce modern temperature data from about the 1980s onwards (in fact the very period of detectable man-made global warming). 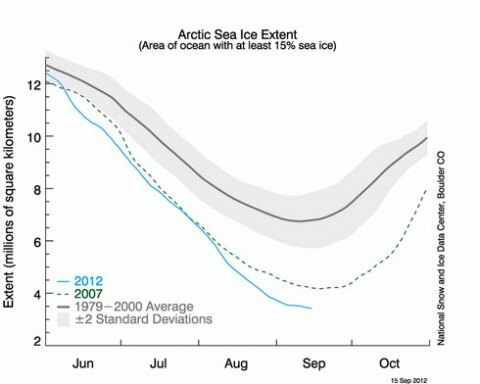 Because of this, we cannot rely on proxy graphs to conclude now is warmer than the past. Although climate scientists claim the divergence problem is only a modern thing, and does not affect historic data, this is purely a statement or belief. There is no convincing science to back that view. For that reason, I am sceptical of the value of proxy graphs to show current temperatures are unprecedented. I list a number of other brief examples. I do not believe in conspiracy theories and have no problem with climate scientists believing in AGW. But in view of the examples I give, I do have a problem in them saying ‘the science is settled’. There are some benefits from acting on the AGW scare now, such as improved energy efficiency and reduced pollution. There are also negatives, such as wind-farms on pristine countryside and biofuels causing increased hunger. Too much focus on the AGW threat (based on relatively weak scientific arguments) diverts effort and money from more immediate and certain problems. I am an environmentalist who cares about the future of our planet and sustainability. My views on AGW are based purely on the science. I have 25 years of professional work experience, as a geologist and hydrogeologist, in both public and private sectors. St Albans School, Hertfordshire, 1976-1983. BSc (Hons) in Geology (Portsmouth), 1983-1986. MSc in Hydrogeology (Birmingham), 1989-1990. Postgrad. Cert. in Education (Keele), 1998-1999. MA in Environmental Politics (Keele), 2010-2011. Fellow of the Geological Society (FGS) since 1992. Chartered Geologist (CGeol) since 1998. Member of Chartered Institution of Water and Environmental Management (MCIWEM) since 2000. Martin’s MA dissertation topic was “A Discourse Analysis of Climate Change Scepticism in the UK“ An abstract of that dissertation may be read here. So two highly professional persons with diametrically different views. Here’s the ‘debate’. I have been posed a couple of questions [by Martin Lack, Ed.] which Paul has invited me to respond to. Why do you think the vast majority of relevantly-qualified and active researchers in earth systems science have reached the conclusion that we need to stop pumping CO2 into the atmosphere as fast as we possibly can because it will get harder to avoid excessive climate change the longer we take to do so? Explain why you think the time to act has not yet arrived? Why do the majority of climate scientists claim to believe man-made climate change (AGW) is significant and serious? Why am I an AGW-sceptic? I am grateful to Paul for inviting me to respond to Oakwood’s thesis. Why do the majority of climate scientists claim to believe man-made climate change is significant and serious? Near-certain when they know it is very uncertain. Bearing this in mind, let us look at the arguments Oakwood then uses to justify his ‘scepticism’. I am an ‘earth-systems’ scientist with degrees in Geophysics and Hydrogeology and around 25 years working experience in both those fields, but mostly hydrogeology. Note: working scientists are every bit as important to our advancement as academics and researchers. Academia is a career choice available to the better scientists. (Though a few ‘duds’ manage to survive by playing the right games.) But many excellent scientists and engineers choose to work in the ‘real world’ where science is applied which often includes active research, written up in reports, but not necessarily in peer-reviewed journals. Those scientists and engineers often have a far more immediate level of responsibility in terms of the quality and implications of their work. If an academic ‘gets it wrong’, the worst things that may happen are embarrassment, loss of research grant or even loss of job. If a working scientist or engineer gets it wrong, then bridges may collapse, planes may crash, people may be poisoned, etc. Also ‘peer review’ doesn’t mean its right, but just that it adds to the debate. I have followed the scientific debate for many years, reading much that is written on both sides, including a big proportion of the IPCC reports. Oakwood starts by attacking academics for being detached from the real world and suggesting that some may be “duds” that are just playing games, (although he does not say whom exactly)! He then attacks the peer review process but fails to provide any reasonable explanation as to why only 24 out of nearly 14 thousand articles about ongoing climate change do not consider human activity to be its primary cause (unless the science is of course near certain). Oakwood claims to have read a big proportion of IPCC reports (more than me I suspect) but, even so, fails to address the reality that IPCC reports have consistently under-reported the scale and urgency of the problems we face. The AR5 report due out later this year will also do this because it still does not include positive feedback mechanisms causing current rates of change to accelerate. 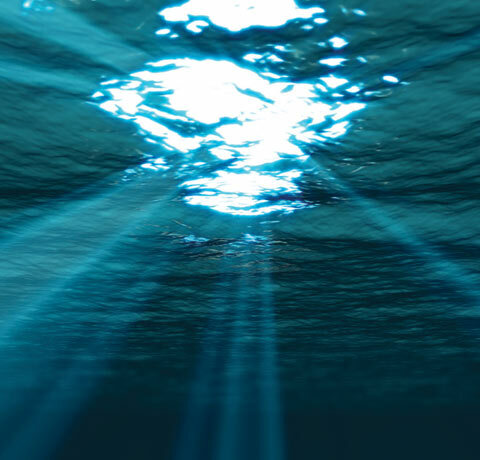 Very much like hydrogeology, climate science is a multi-disciplinary science dependent on a level of knowledge and expertise in a whole range of disciplines. For example, I need to understand quite a lot about chemistry, although I don’t have a degree in chemistry. I have to keep learning; by reading, researching, learning from expert colleagues, etc. I also need to know something of maths, statistics, fluid mechanics, weather patterns, computer modelling, microbiology, water treatment, etc. There are better experts in each one of those subject areas, but that’s their focus and they would not normally be able to pull things together to develop a ‘conceptual model’ of a hydrogeological system. Oakwood highlights the similarities between hydrogeology and climate science but fails to mention that both make extensive use of probabilistic computer models (of the kind used by climate scientists). These are models that deal with uncertainty in modelled parameters by being run hundreds if not thousands of times using parameter values picked at random from within user-defined ranges. This produces a range of modelled outcomes with accompanying probabilities of being realised. There is much overlap between scientific disciplines, especially in ‘Earth systems’. Therefore, to suggest you must be a ‘climate scientist’ to understand all of the scientific and statistical arguments, is incorrect. For example, the hockey stick tree ring studies are principally statistical exercises rather than ‘climate science’, and require an understanding of how the Earth’s climate has changed in the past, which geologists are only too aware of. 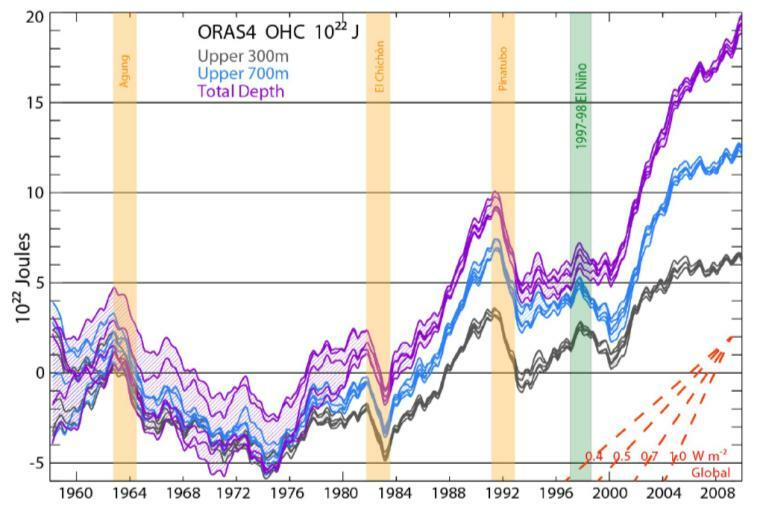 As a hydrogeologist, I am very experienced in studying time-series data, and judging whether conclusions drawn from them are plausible and reliable. Of course, my conclusions may not always be correct. Others may disagree with me. But that’s how science develops. It would take me pages to explain all my reasons for being an AGW-sceptic, so instead I will focus on one key example of where I find a key conclusion unreliable. I will refer to a ‘typical’ paper by Michael Mann et al, 2008, Proxy-based reconstructions of hemispheric and global surface temperature variations over the past two millennia, Proceedings of the National Academy of Sciences of the United States of America – PNAS. Recent warmth appears anomalous for at least the past 1,300 years whether or not tree-ring data are used. If tree-ring data are used, the conclusion can be extended to at least the past 1,700 years, but with additional strong caveats. The reconstructed amplitude of change over past centuries is greater than hitherto reported, with somewhat greater Medieval warmth in the Northern Hemisphere, albeit still not reaching recent levels. Thus, they claim their work shows current temperatures are unprecedented in at least the past 1,300 years, including the Medieval Warm Period (MWP). This is extremely important. If current temperatures are not warmer than the MWP, then there is far less reason for alarm about the current climate. For example, we don’t have records of such things as droughts, hurricanes, tornadoes, etc., being noticeably worse or more common during the MWP. (I know, some will respond: ‘regardless of whether its warmer now, predictions are it will get much worse’. But that is a separate argument). Thus, it seems to be very important to the AGW-case that current temperatures are unprecedented, and changing more quickly than in the past 1,000 to 2,000 years. Despite, their stated conclusions, their work does not show that now is warmer than the MWP. On their graphs in their Figure 3, current temperatures show as warmer. But the proxy data themselves do not show this. The only data that do are the instrumental data. So if proxy data do not align with instrumental data since the 1980’s onwards, how can we rely on them to show us the MWP was cooler than now? We can’t. The observed warming rises above the error bounds [ie., the highest possible temperature indicated by proxy data – my words] of the estimates during the 1980s decade, consistent with the known ‘‘divergence problem’’, wherein the temperature sensitivity of some temperature-sensitive tree-ring data appears to have declined in the most recent decades. Interestingly, although the elimination of all tree-ring data from the proxy dataset yields a substantially smaller divergence bias, it does not eliminate the problem altogether. This latter finding suggests that the divergence problem is not limited purely to tree-ring data, but instead may extend to other proxy records. If you look around at other literature, despite what we hear about ‘settled science’ nobody knows the cause of the ‘divergence’ problem. There is only speculation that it might be something to do with modern air pollution or perhaps CO2 itself. The divergence problem is a physical phenomenon – tree growth has slowed or declined in the last few decades, mostly in high northern latitudes. The divergence problem is unprecedented, unique to the last few decades, indicating its cause may be anthropogenic. The cause is likely to be a combination of local and global factors such as warming-induced drought and global dimming. Tree-ring proxy reconstructions are reliable before 1960, tracking closely with the instrumental record and other independent proxies. So, the proxies are “reliable before 1960’s”. But back until when? Around 1880, when temperatures were cooler. There is no evidence whatsoever that the proxies were reliable at other periods of higher temperatures. And we are expected to accept this as ‘settled science’. If the proxy data cannot reproduce the higher temperatures of today, we cannot rely on them to compare with other warmer periods in the past. I don’t care if 99.9% of climate scientists tell me this is acceptable science, I will not agree with them, unless they can produce convincing scientific evidence (not just speculation) to back it up. 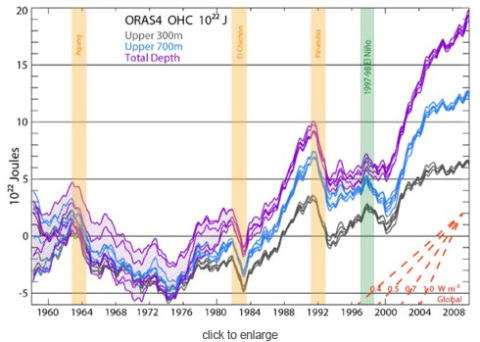 Much of what Oakwood writes is an attack upon the Hockey Stick graph of palaeoclimatic temperature reconstructions first produced in 1998 (MBH98). Arguments about splicing instrumental data onto proxy data only serve to challenge the extent to which the speed of late 20th Century warming is unprecedented. Such arguments do not invalidate the conclusion that it is now almost certainly warmer than it has been at any time since the last Ice Age (i.e. a period of relative climate and sea level stability that has made agriculture, urbanisation and civilisation possible). However, this is no reason for us to be complacent because, as Oakwood must know, the 50 to 100 metres of sea level rise that will be caused by the melting of terrestrial ice sheets will necessitate the mass migration of millions of people. This makes his concerns about current poverty and starvation (i.e. the main reason he eventually cites for not believing action is yet necessary) look very trivial indeed. What part of the argument are you missing? Sometimes one just scratches the head and wonders! Now I should end it there. But I can’t! 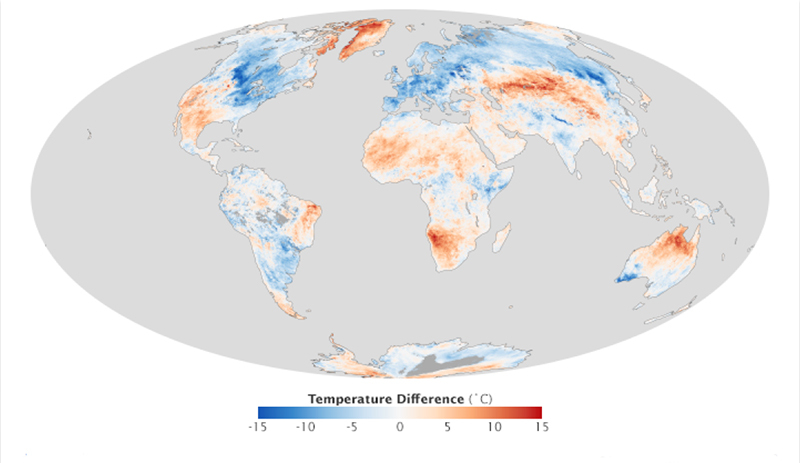 The temperature anomaly map above, based on data from the Moderate Resolution Imaging Spectroradiometer (MODIS) on NASA’s Aqua satellite, shows how this affected temperatures in the Northern Hemisphere. The map displays land surface temperature anomalies between March 14–20, 2013, compared to the same dates from 2005 to 2012. Areas with above-average temperatures appear in red and orange, and areas with below-average temperatures appear in shades of blue. Much of Europe, Russia, and the eastern United States saw unusually cool temperatures, while Greenland and Nunavut Territory were surprisingly warm for the time of year. Washington Post (2013, March 24) Record blocking patterns fueling extreme weather: detailed look at why it’s so cold.Accessed April 1, 2013. NASA Earth Observatory image by Jesse Allen and Robert Simmon, using MODIS data from the Land Processes Distributed Active Archive Center (LPDAAC). Arctic Oscillation data from the NOAA National Weather Service Climate Prediction Center. Caption by Adam Voiland. Sorry, I know I went on a bit! Sceptical about global warming? Read this! Learning from Dogs is not a blogsite about climate change! Why, you may ask, do I start today’s post with that sub-heading? Because, I am conscious that many of my posts do touch on this subject. For example, just two days ago there was Breaking news. Then there was the piece about the climate implications for Phoenix, Arizona. Followed the next day by the changes in the flow of the jet stream across the North Atlantic with all the weather implications for North-West Europe. Indeed, as the heading to today’s post makes clear, this is also about the changes going on to our planet. 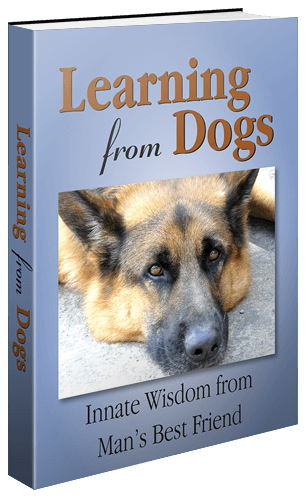 Learning from Dogs is about a different way of living and behaving. A campaign, if one wants to call it that, to show that the way that modern man is living is corrupt. Not with a big ‘C’ but still in the sense of living a dishonest life. Learning from Dogs attempts to show that our wonderful dogs, a source of so much love and pleasure for so many millions, offer us an example of a life in and of this planet. If there was ever a time in the history of man when we needed being reminded of our frailty and vulnerability, it is now. As the following so starkly illustrates. But what really jumped off the page was this graph. It is truly scary! One reason for the widespread misunderstanding is that climate change has been culturally coded as an “environmental problem.” This has been, in all sorts of ways, a disaster. Lots of pundits, especially brain-dead “centrist” pundits, have simply transferred their framing and conception of environmental problems to climate. They approach it as just another air pollution problem. The second difference is that climate change is irreversible. As Joe Romm notes in a recent post, New York Times columnist Joe Nocera slipped up in his latest column and referred to technology that would “help reverse climate change.” I don’t know whether that reflects Nocera’s ignorance or just a slip of the pen, but I do think it captures the way many people subconsciously think about climate change. If we heat the planet up too much, we’ll just fix it! We’ll turn the temperature back down. We’ll get around to it once the market has delivered economically ideal solutions. The article is really best read in full. Because it’s a reminder that the way we presently behave is, in so many ways, a scary legacy for future generations. When dogs were living as wild dogs, thousands of years ago, a typical pack size was between 40 to 50 animals. The ‘head’ dog was the alpha dog, always a female. Next in status was the beta dog, always a dominant male. The last one in terms of status was the omega dog, or clown dog. Those genetic traits still survive in the domestic dog. Pharaoh – still being an assertive beta dog; taken 22 days ago! The second role was that she was the one who decided that their territory was unsustainable for her pack and signalled the need to find a new territory. For man, there’s no other territory to move to. So we will just have to clean up the only one we have! Can we trust the predictive output of computer modelling? I would be the first to admit that this is not an area where I have anything more than general knowledge. However, what prompted me to think about this topic was a chance conversation with someone here in Payson. We were chatting over the phone and this person admitted to being less than fully convinced of the ’cause and effect’ of man’s influence on the global biosphere. When I queried that, what was raised was the idea that all modelling algorithms used in climate change predictions must incorporate mathematical constants. I continued to listen as it was explained that, by definition, all constants were, to some degree, approximations. Take, for example, the obvious one of the constant π, that Wikipedia describes as: a mathematical constant that is the ratio of a circle’s circumference to its diameter. Pi, of course, would have to be rounded if it was to be used in any equation. Even taking it to thirty decimal places, as in 3.14159 26535 89793 23846 26433 83279, would mean rounding it to 3.14159 26535 89793 23846 26433 83280 (50288 being the 30th to 35th decimal places). OK, so I must admit that I was leaning to the viewpoint that this person had a valid perspective. I then asked Martin Lack, he of Lack of Environment and a scientifically trained person, for his thoughts. The rest of this post is based on the information that Martin promptly sent me. So all models are first tested in a process called Hindcasting. The models used to predict future global warming can accurately map past climate changes. If they get the past right, there is no reason to think their predictions would be wrong. Testing models against the existing instrumental record suggested CO2 must cause global warming, because the models could not simulate what had already happened unless the extra CO2 was added to the model. All other known forcings are adequate in explaining temperature variations prior to the rise in temperature over the last thirty years, while none of them are capable of explaining the rise in the past thirty years. CO2 does explain that rise, and explains it completely without any need for additional, as yet unknown forcings. I strongly recommend you read the full article here. But I will republish this graph that, for me at least, is a ‘slam dunk’ in favour for modelling accuracy. Concern over anthropogenic climate disruption (ACD) is not based on computer modelling; it is based on the study of palaeoclimatology. Computer modelling is based on physics we have understood for over 100 years and is used to predict what will happen to the atmosphere for a range of projections for CO2 reductions. As such, the range of predictions is due to uncertainty in those projections; and not uncertainties in climate science. Furthermore, when one goes back 20 years and chooses to look at the projection scenario that most-closely reflects what has since happened to emissions, one finds that the modelled prediction matches reality very closely indeed. In his email, Martin included these bullet points. Concern over anthropogenic climate disruption (ACD) is not based on computer modelling. It is based on our understanding of atmospheric physics (and how the Earth regulates its temperature). Computer modelling is based on this physics (which we have understood for over 100 years). Models have been used to predict temperature and sea level rise for a range of projections for CO2 emissions. The wide range of predictions was due to uncertainty in those emissions projections not uncertainties in climate science. This can be demonstrated by looking at predictions made over 20 years ago in light of what actually happened to emissions. The model predictions for both temperature and sea level rise are very accurate (if not slightly under-estimating what has happened). Sort of makes the point in spades! The sooner all human beings understand the truth of what’s happening to our planet, the sooner we can amend our behaviours. 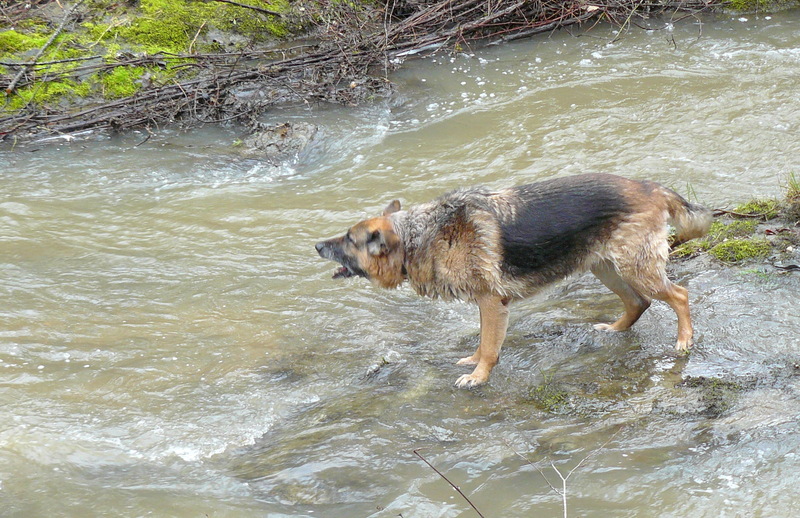 I’m going to pick up the theme of behaviours in tomorrow’s post on Learning from Dogs. Finally, take a look at this graph and reflect! This will be the topic that I write about on Thursday. Are you negligent, incompetent or complicit? A guest post from Martin Lack points to the crux of the issue of denying man-caused climate change. I saw this post on Martin’s Blog Lack of Environment the day after I wrote a piece called In praise of fairness. In my piece I mentioned the sad case of Mr. Bob Diamond and Martin continued with the theme in such a manner that I wanted to republish his article in full. Here it is. Many readers will recall that, following my visit to London to hear Lindzen speak to a room full of fake sceptics in the Palace of Westminster on 22 February this year, I attempted to get some answers to questions. Unfortunately, I failed. I have been particularly frustrated by one thing; possibly the most misleading aspect of Lindzen’s entire presentation – a combination of graphs of recent atmospheric CO2 and temperature data that was mysteriously omitted from the PDF of the presentation that was initially posted on the Internet. Although Lindzen never answered any of my questions, he did insert this slide into the PDF of his presentation despite my pointing out to him – MIT and the AGU – that it was essentially meaningless (as the y-axes could be stretched to show either correlation or no correlation as preferred by the speaker). Steeply inclined Keeling curve versus apparently non-correlating temperature – if you stretched the temperature axis enough it would appear to correlate quite well. Therefore slide neither proves not disproves anything. This bears more than a passing resemblance to the World Climate Widget – a very similar-looking combination of graphs (i.e. manipulated to suggest that there is no correlation between recent atmospheric CO2 and temperature data) – that can be downloaded as a widget from Anthony Watts’ Watts Up With That? (WUWT) misinformation blog. Clearing the fog of data misrepresentation created by Lindzen et al. – Note the clear upward trend in the temperature graph on the left (it was there all the time). It would appear that, despite the best efforts of the majority of prominent climate scientists, Lindzen’s London Illusions are still fooling a lot of people. If you follow that last link, it will take you to the website of what I prefer to call The Global Wonky Policy Foundation, where it is reported that only 43% of the British adult population felt able to agree with the following statement: “Global warming is a fact and is mostly caused by emissions from vehicles and industrial facilities”. “The sunrise is a fact and is mostly caused by the Earth not being flat and spinning once a day whilst orbiting the Sun”…? I’m very grateful to Martin for allowing me to republish this.